Have you tried to paint on ice? 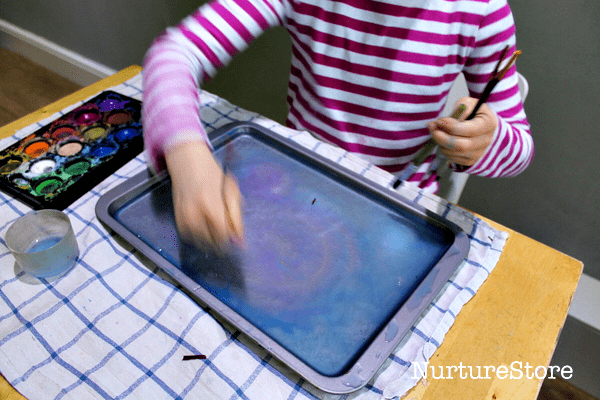 It’s a great winter art project to try with your children, mixing in some sensory play and science to create gorgeous patterns. 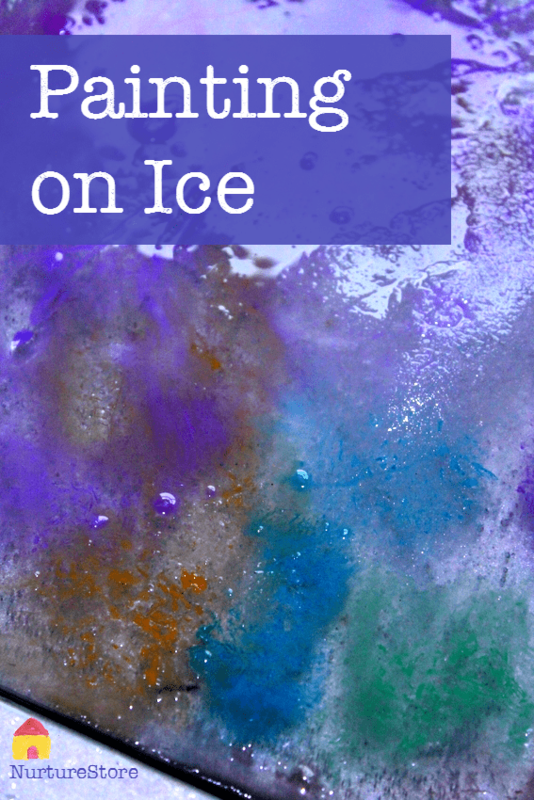 Using ice as a canvass is an interesting change in materials for children who are most used to painting on paper. 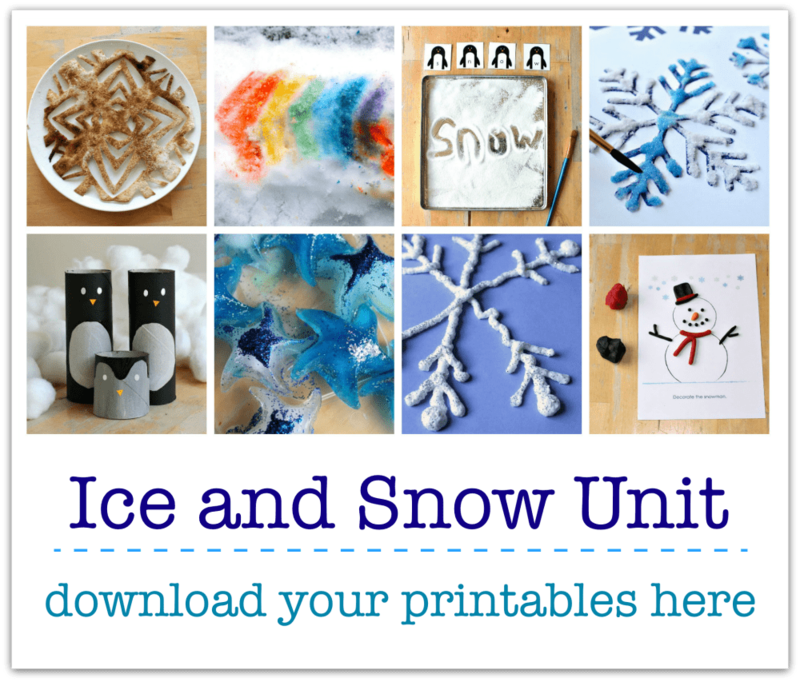 It’s a rich sensory experience and a great art project to go with a winter theme. To make the ice canvas, we used a small baking tray, which is the right size to fit in our freezer. Pop it on the freezer shelf, carefully pour in the water, and leave it to freeze overnight. If you have cold-enough temperatures, it would be fantastic to leave your water-filled tray outside to let nature do the freezing. 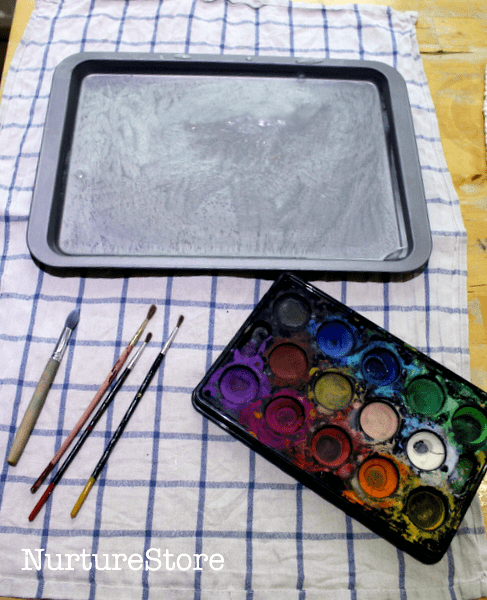 Then I set the ice tray out on a tea towel, with a palette of watercolour paints and a selection of brushes alongside. 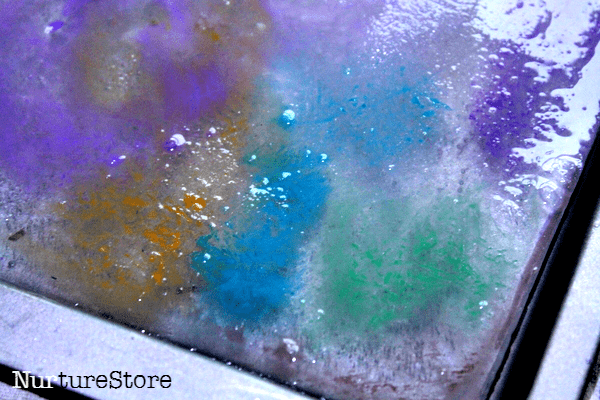 You can wet a paintbrush on the ice and then use it to pick up some paint from the palette, and then begin to create patterns on your ice canvas. My daughter loved the sensory experience of painting on ice. The brushes glide across the surface and you can make all sorts of swirling patterns. 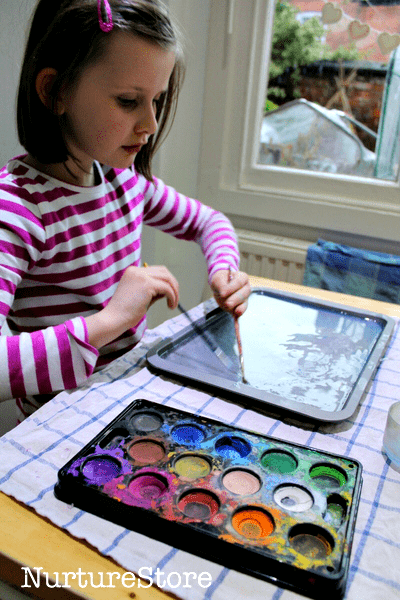 Watch and see how the watercolours run together and create patterns of their own. 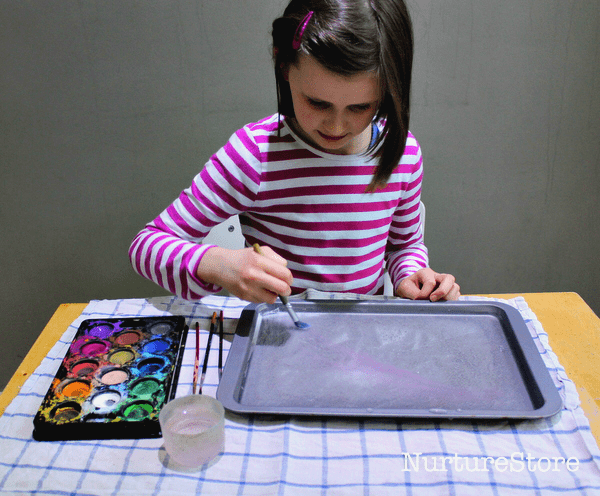 She soon turned her ice tray into an ice rink, and her paint brushes were little girls going skating for the first time. I love this! Did you try to take a piece of paper and lay it over the tray? I’m wondering if it would soak in the paint so the cold can keep the painting? Yes, that’s a great idea Dina. We’ve done that with painting/marbling on shaving foam, and I think it would work here too. Let me know how it turns out, if you try it.